News | SHS, Strategically Hidden Speaker, Now Available | AtlasIED | ESA Communications Ltd.
Phoenix, AZ – (December 3, 2018) –AtlasIED has introduced the SHS Series, Strategically Hidden Speaker, a first-of-its kind ceiling speaker designed to blend into virtually any environment. A global electronics manufacturer providing comprehensive audio solutions for commercial business environments, AtlasIED introduced the SHS line for installations where wide coverage is crucial and high-definition audio must be heard, not seen. Today’s business, retail, corporate, and educational environments put as much emphasis on interior design and aesthetics as on the quality and functionality of the integrated technology. The SHS is carefully designed to blend into the aesthetic of any ceiling, while retaining optimal sound performance. Exotically different and perfectly disguised, the AtlasIED SHS Series is ideal for applications like background music, paging / notification, and sound masking, and is easy to install in venues and facilities where the technology should not be front-and-center. Designed to deliver highly intelligible audio, the speaker has a 2-way driver providing high-definition sound. 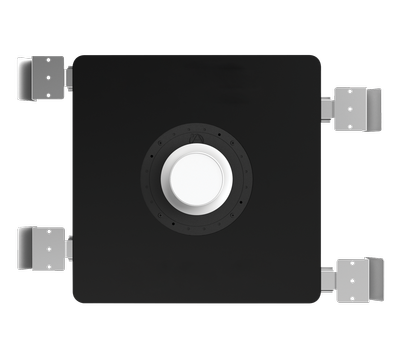 Sound exits the two-way transducer and passes through the patented adaptive dispersion lens for a smooth and uniform frequency response with no “hot spots” common to some loudspeakers. The speaker uses an integrated 32-watt 70V/100V transformer and 40 bypass, with a sealed enclosure above the ceiling for optimal bass response. The speaker offers ultra-wide, 180-degree dispersion for full coverage in any environment. To experience the superior sound quality and revolutionary design of the SHS Strategically Hidden Speaker, visit atlasied.com/shs-series-overview and Request a Live Demo.